Bass Connections bridges the classroom and the world beyond campus, giving undergraduate and graduate students a chance to tackle complex societal problems alongside Duke’s superb faculty. We support research teams that draw on perspectives and methods from multiple disciplines, as well as robust engagement with communities, stakeholders and decision-makers. Faculty across Duke’s schools engage in Bass Connections at every level, from providing vital program guidance on the Faculty Advisory Council, to developing and leading project teams, engaging as course instructors and mentoring students as they take their research further. More than 600 faculty and staff members (such as librarians) have participated as of Fall 2018. Faculty Participant or Team Leader? See Team Resources. Also please see our Project Team Request for Proposals. 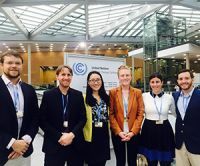 In our 2017-18 program evaluation, team leaders noted a wide range of outputs, including peer-reviewed publications; external grant applications seeded by their team’s research; data collection for future use; conference presentations; public policy reports and recommendations; various prototypes and products; educational materials and trainings for community groups; and scientific models, formulas and algorithms. 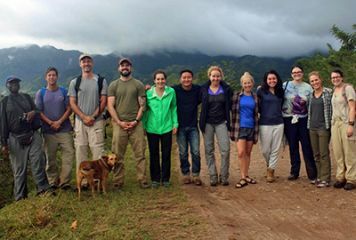 Project teams are groups of five to 20 individuals, including at least two faculty leaders, from different disciplines and different student levels who work together to address a societal challenge through research and outreach. Projects generally last nine to 12 months. Besides co-leading a team, faculty may opt to participate on a project team as a contributor. This means they engage with a team occasionally throughout the year as a sounding board or advisor, but they are not responsible for leading the team. Faculty may propose a project through our annual call for proposals which runs from early September to early November of each year. Faculty are invited to reach out at any time to discuss potential project team ideas. We will occasionally consider off-cycle proposals for projects addressing emerging or time-sensitive issues of strategic importance. The program’s five thematic areas connect related project teams, courses, summer programs and other collaborative research experiences. 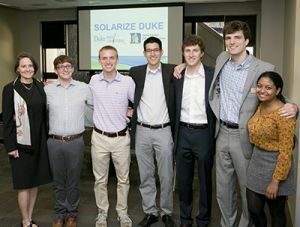 Each theme is hosted by one of Duke’s interdisciplinary institutes and initiatives. For faculty whose work does fall outside the scope of the five themes, we have created a new avenue for faculty and students to engage in Bass Connections. Bass Connections Open is a temporary channel for projects and courses that otherwise meet the model of Bass Connections but do not align with one of the existing themes. Nearly 40 semester-long courses are affiliated with Bass Connections, each infused with interdisciplinary, team-based learning. Course development funds are available for faculty to organize new or modify existing courses that align with the model of Bass Connections. Four summer programs offer additional opportunities for faculty to get involved as project sponsors, clients or leaders. To learn more and get involved, please contact Laura Howes, Director, or any of our theme leaders. Additional information for faculty team leaders is available in our Team Resources section.